1986 FZ750 (0U45) - Communication Plaza | Yamaha Motor Co., Ltd. Designed for competition in the AMA Superbike Championship's Daytona 200, this machine was based on the FZ750 production sports model. With the transfer of the Daytona 200 title from the Formula 1 class to the Superbike class in 1985, Yamaha Motor gave up factory bike racing (though it supplied the FZ750 to private teams) and began developing a Superbike spec FZ750. 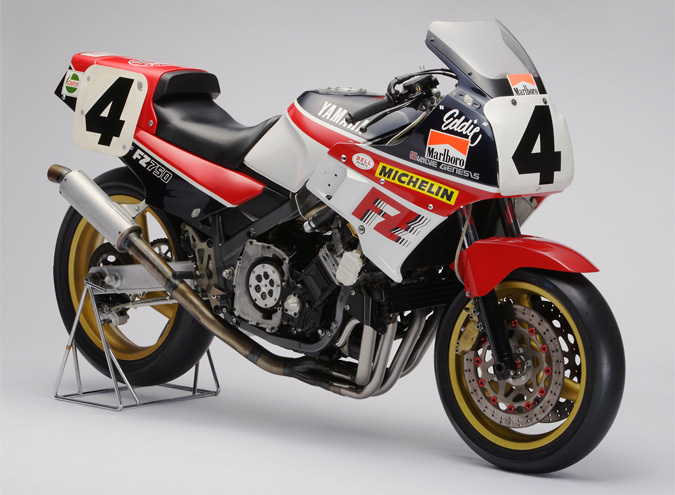 The following year (1986), this machine recorded its 14th win ridden by Eddie Lawson.